Nathaniel has a warm, loving spirit and gets along with just about everyone he meets. Nathaniel likes to be helpful, a trait that is central to two careers that interest him: policing and firefighting. He also loves dressing up, yummy southern fried chicken, spaghetti and cake. 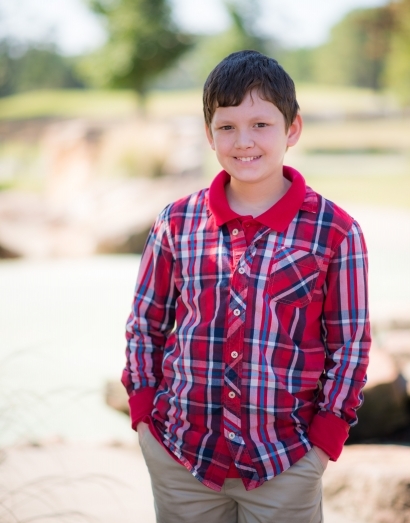 Nathaniel is looking for a loving, two-parent family that will read him books and help him work on his reading skills. Nathaniel did not grow up in a home with a lot of structure and as a result, he sometimes struggles with making the best decisions about behavior at school. He will thrive in a supportive family that understands he needs help making better decisions while at school and provides him the guidance and love necessary to do that. Nathaniel wants to grow up with a family. Maybe you are that family.